Garner’s longstanding fans are elated. The first two books in the series came out in the early 1960s, so this really has been some time in coming. 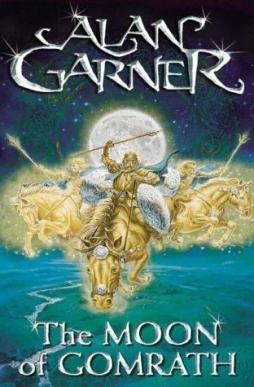 In the interim, Garner’s published fairy tale collections and several non-fantasy novels. He’s said that he’s never written specifically for children, but for whatever reason children seem to respond more directly to his work than adults. Not that praise from adults is lacking; the fiftieth-anniversary republication of Brisingamen contained testimonials from Neil Gaiman, Philip Pullman, and Susan Cooper. I had vague memories of reading Brisingamen when I was very young. Since I’d picked up an omnibus collection of three of Garner’s books — Brisingamen, Gomrath, and the non-related Elidor — the announcement prompted me to sit down and take another look at Garner’s work. I was impressed. Elidor, the first book in the omnibus, was actually written after the other two stories. It’s an intriguing tale. A group of children wander into a deserted church, and cross over into a primal fantasyland; they become guardians of four treasures, which they then have to guard in the real world against agents of evil. It stands out partly because the early, more fantastic, parts of the book have some very distinct images, original and oddly potent. Mostly, though, the story works because it’s content to work through suggestion; to be meaningfully reticent. The battle the children have become involved in is never really defined, and we never really learn how it works out. The children’s story itself ends abruptly; there’s no denouement, and there’s a sense in which, having done their part, they have nothing else to do with magic. In fact, the magic itself feels untrustworthy. As you read the story you can’t help but think that the alleged forces of good are manipulating the children for their own purposes. It adds an unsettling layer to the whole novel. In a way, the book feels like it’s in dialogue with the Narnia series — Elidor’s main character, Roland, insists on the importance of the magic world, as the Pevensie children insist on the importance of Narnia, but Roland’s brother and sister are less sure than he, even though they’ve had much the same experience as him. The conclusion of the story, the last act of guardianship, is actually a kind of betrayal; there’s a harshness here that concludes without consoling. The land of magic isn’t as morally certain as Narnia, and the balance between that world and this is different. It seems significant that the great treasures of the other world are visible in this world only as trash. Ultimately, though, I think the insistence on underplaying the central conflict, on keeping the children at the edge of things without any real understanding of events, makes the book easier to appreciate than enjoy. It’s not a bad structural idea, and of course it’s possible to write great stories about characters on the edge of things. In this case, though, it doesn’t feel like the balance is quite right; as though the story wanted to deal more with the heart of things, but the givens of the plot — or Garner’s own sensibility — wouldn’t let it. Brisingamen and Gomrath are in a sense more conventional, although that’s misleading. There’s something deeply weird, in the best way, about Garner’s writing. Still, there’s no doubt that these books have a more conventional, if less focussed, plot structure. Again we have two lightly-characterised children — a brother and sister, Colin and Susan — encountering an ambiguous world of magic. But their journey’s more familiar. The books are set in Cheshire, in the north-west of England, where Garner himself lives. The local colour’s well-done, and the way Garner mixes that concreteness with myth and magic, the way he blends the actual natural landscape with the fantastic, is very effective. Garner’s written about his own experience growing up hearing oral legends of the area, and somehow that comes across. The legends feel lived-in; or, perhaps, just living, ongoing tales that are not to be summed up in a single book or any one telling. I have to think that Garner had also read The Lord of the Rings before writing Brisingamen. 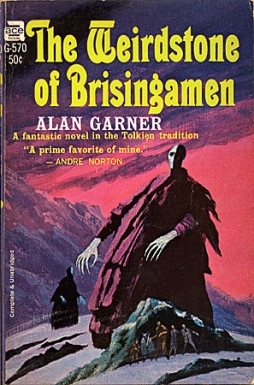 LOTR was first published from 1954 to 55; Garner apparently started writing a little after that, and has said that Brisingamen was published because of its perceived resemblance to Tolkien’s work. 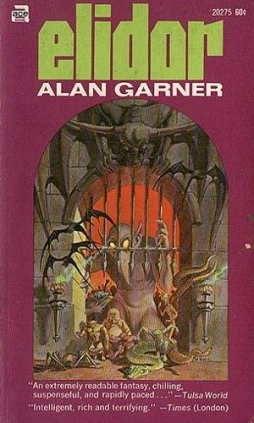 It is true that Garner was drawing from the same mythic material as Tolkien. Still, if Garner wasn’t influenced by Tolkien at a plot level, there’s an incredible level of coincidence involved. There’s an extended passage underground, in an area familiar to dwarfs but controlled by evil humanoid monsters; there’s a wise old wizard; there are magical light-elves who are in the process of passing from the world; there’s a trip through a wood that seems to slow down one’s movement (albeit wholly naturally, in this case); there are black birds that act as spies for the evil forces; there’s a magical land (or island) controlled by a magical Lady of the elves who gives the travelling company cloaks; the evil forces are divided by mutual suspicion and the ambition of inferiors. Also, the leader of the evil forces is actually only the servant of the prime evil principle. The second half of the book is structured around a journey; and the book’s prefaced by a map over which that journey that takes place. But that map is a map of actual geography. 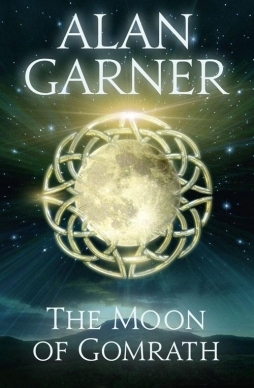 Some of the distinctive feel of Garner’s work lies in that fact: that he’d created a world in which the actual modern world mixes with the world of myth in a way that leaves neither diminished, but both for the most part separate from each other. Many other writers since have done the same thing, but there’s a feel in Brisingamen and Gomrath unlike any other I can think of. The magic’s somehow natural, a part of things while still being uncanny, still resonant in a dreamlike way. If Garner’s one of the first of Tolkien’s imitators — perhaps I should say simply ‘followers’ — then he’s also one of the best. Gomrath in fact has less of these familiar plot elements than Brisingamen, and seems to show a more sure control of myth. It’s stranger, and less predictable. The plot’s more loosely constructed, but builds in its elliptical fashion perhaps more naturally than Brisingamen. Both books, like Elidor, end abruptly. He could not say if they were stars, or what they were. The sky was a haze of moonlight, and in the haze it seemed as though the stars had formed new constellations, constellations that moved, had life, and took the shape and spangled outline of nine young women on horseback, gigantic, filling the heavens. They milled around above the farm, hawks on hand, and among them pranced hounds with glittering eyes and jewelled collars. The riders wore short tunics, and their hair gleamed along the sky. Then the horn sounded again, the horses reared and flared over the plain, and the night poured shooting-stars into the western sea. I like the mixture of rhythms in this passage. The hurried second sentence, with clauses piled on clauses like someone trying to recount in disconnected words some profound vision, gives way to the precision of “short tunics” and the unexpected “hair gleamed along the sky.” The archetypal horn sounding, the resonance of the “western sea” — it seems to glance at Tolkien, but really is its own piece of writing, a mythic experience in its own right. That passage is from Gomrath, but the same book also seems to mark a sense of the difficulty of entering into that myth, as well as the dangers involved: “Almost they wished that they had never discovered enchantment; they found it unbearable that the woods for them should be empty of anything but loveliness, that the boulder that hid the iron gates should remain a boulder, that the cliff above the Holywell should be just a cliff.” The books, then, are in a complex relationship with the land, seeing it as a venue for enchantment, but also as incomplete without that enchantment — without story, without legendry. However much one can pick Tolkienian elements out of the plot or even the mythic backstory, the core of the books are clearly original. I’d say that the meaning of them doesn’t really reside in the plot; that what drives them is less the experience of the children on their own than the way the children relate to the world of magic. The way the children catch glimpses of meaning; the way they have to find their way back into the story which at first only briefly includes them. And the way that story threatens to swallow them whole. I’m familiar with some of the legendary material — Norse and Celtic, primarily — that Garner uses here. He’s fused bits and pieces from a number of sources into his own overarching story; it’s powerful, and tonally these books vaguely remind me of Guy Gavriel Kay’s Fionavar Tapestry (another deeply Tolkien-inflected work, written after Kay helped compile the Silmarillion). 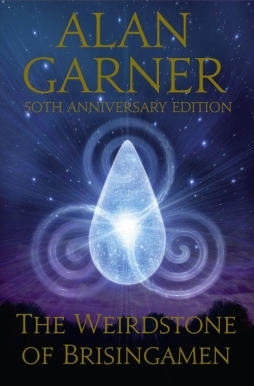 Like those books, I think Garner’s gain their strength from the contrast of the ‘real’ world with a fantasy world; with a sense of something more profound than everyday life. Garner seems to me more reticent with his fantasy, more inclined to question the relation of the two things, more aware of the distance between the fantastic and the real. I’m impressed enough that I’ll be looking for Boneland this August. And I’ll try to check out some of his recent books, too, to see what’s become of his vision over these past decades. Even in these three books, there’s a clear sense of development; and something about them that’s somehow restless, maybe something original looking for an original means of expression. Boneland promises an adult Colin, looking for his vanished sister, unable to remember anything that happened before he turned thirteen. A recognisable continuation, but not a standard sequel. That seems fitting, and promising. Whaaa? 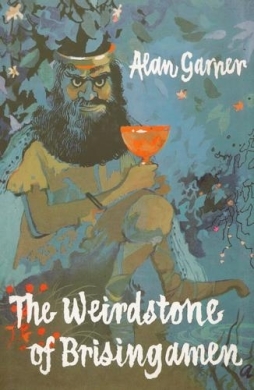 Alan Garner is writing a third book in the WEIRDSTONE series? I had no idea! This is terrific news. Since you seem to have the inside scoop, by all means keep us posted! Hey, all I know is what I read in the Guardian. But, yeah, I’ll be looking to pick that up when it comes out. This might be the coolest book news of the year. I don’t think Garner had read Tolkien at the time – though he had briefly met him at Oxford – but he shared with him an interest in folklore (especially local) and a deep knowledge of both classical and mythological sources. Unfortunately I came to Brisingamen and Gomrath (haven’t yet read Elidor) after I had read his first true masterpiece, The Owl Service. While I can see that they are already stranger and more accomplished than most fantasy/children literature they might be compared with, they feel clumsy and conventional in comparison to what was to come later. That’s also why the Boneland announcement is so surprising – non just because he did refuse to complete the trilogy at the time, but because he had always said he wasn’t much satisfied with his earlier works. Boneland will bring closure to the trilogy, but I expect that formally and stylistically it will be closer to his mature works, which may turn off some. Count me in for those who greet the news of a third “Weirdstone/Gomrath” book with loud hurrahs. I read them first as a not-quite-teen, I think; they made a strong impression, and I have enjoyed the occasional re-read over the years. Admittedly, Garner has an IMO somewhat hamfisted approach to names, in that he plucks semi-random names out of legend or mythology and scatters them around in ways that are not entirely appropriate to their origins — which I didn’t pick up on as a kid, but did as the legendary and mythological background itself interested me enough that I carried on with my own further reading in those areas. Still … top stories!